We’ve all heard the stories surrounding the troubled production of Suicide Squad and for the most part it’s blatant on screen. Some characters steal the show while others are darkened by a burnt out spotlight. The plot moves at an erratic pace during the first act and quickens up for the climactic showdown. This creates a meandering second act where little is done to really develop these characters or their environment. Somehow amidst these heavy flaws, Suicide Squad is still eminently watchable and at times represents the DCEU moving forward. Throughout most of it though, it hits numerous foul balls deep into the stands. 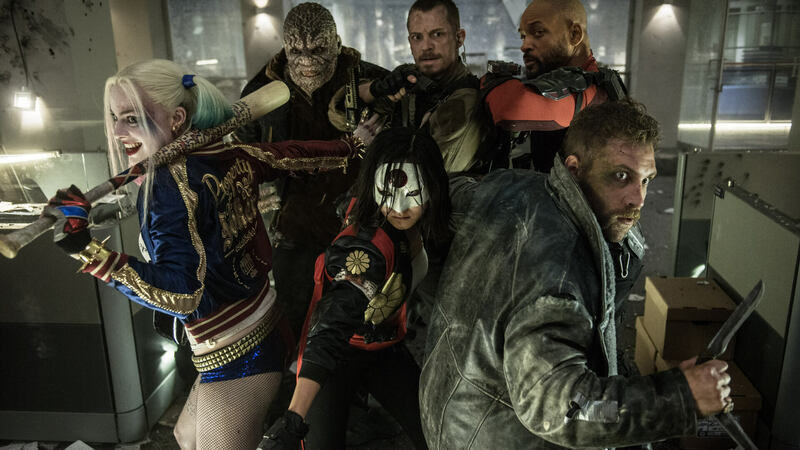 Set after Batman v. Superman, Suicide Squad centers on a group of imprisoned criminals assigned to save the world. Their mission is disappointingly straightforward. Sometime before the events of the film, archaeologist June Moone (Cara Delevingne) became possessed by a witch named Enchantress. Using Moone’s body as a spiritual vessel, Enchantress awakens her brother Incubus to take over the world. Ruthless government agent Amanda Waller (Viola Davis) brings together “the worst of the worst” as Task Force X. 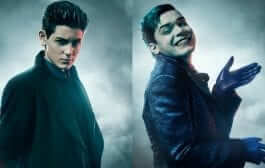 The team is composed of several “metahumans” but two main characters are the most prominent. First is Deadshot (Will Smith), a contract hitman looking to improve the life of his daughter. 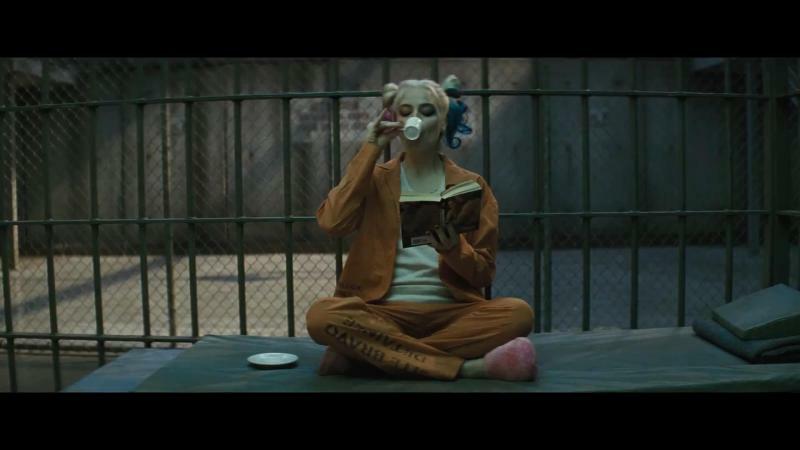 The other is Harley Quinn (Margot Robbie), eternal love of The Joker (Jared Leto), who is also looking to throw a wrench into Waller’s plan. Because there are so many characters to introduce, each character receives a musically inclined montage to bring us up to speed. Some receive longer montages than others. Deadshot and Quinn are each given extensive flashbacks to explain what they’re about. Both of their sequences make excellent use of Batman (Ben Affleck), depicting him more as a force of nature than ever before. Aside from those two, the remaining characters receive the proverbial shaft. Boomerang (Jai Courtney), Killer Croc (Adewale Akinnuoye-Agbaje) and El Diablo (Jay Hernandez) are not given enough to make them feel like fully realized characters. Slipknot (Adam Beach) receives nothing except an invisible red shirt to signal his importance to the story. Fan favorite Harley Quinn is sure to be a favorite. For a film that was heavily marketed about villains taking center stage, they’re not very “evil.” The generic mission they’re given is primarily a rescue mission but the full extent is muddled and unclear. It also provides very little in the way of character dilemmas. Instead, the team is thrust into two of the biggest clichés in modern day comic book movies. Yet again, we have the tired trope of a world dominating superweapon. Enchantress and Incubus are laughable in their mundanity, making disappointments like Malekith and Ultron seem compelling. Secondly, they spend virtually every action scene slaying a faceless army of minions. Because of this, there’s no weight given to their victims even though they’re aware they used to be human. We also see very little of the team’s ingenuity as fighters. They just walk in, spam clips of ammunition and keep moving. Unlike director David Ayer’s previous films, the action beats feel more like automated placeholders than thrilling sequences. The charismatic performances of the Suicide Squad themselves go a long way in elevating the sub-par material. Rather than letting his super-stardom overshadow his co-stars, Will Smith excels at being surprisingly low key. His natural charisma can’t be contained but he doesn’t take over the film. Deadshot is the closest to being “the lead character” but that’s because of how he bookends the film. Without giving too much away, he has a scene early on that is surprisingly compelling in its emotion. The same can’t be said for the tacked-on romance between Moone and Col. Rick Flagg (Joel Kinneman). Flagg is manipulated into being the team field commander but it doesn’t feel organic. It feels like a convenient trick by the writers to make us care about two characters with very little dimension. Speaking about characters with dimension, Joker and Harley have always had a complex but disturbing relationship. Robbie, as expected, steals the show despite her more restrained take on the character (minus the gratuitous rear shots). Unlike some interpretations, this Harley is given a slight improvement right before she takes her chemical bath. After Joker asks “Would you die for me?” he also asks “Would you live for me?” After responding yes to both questions, she jumps and completes her metamorphosis into Harley Quinn. That adds an increasingly disturbing element to their relationship because Joker doesn’t push her like in the New 52 origin. Instead, she leaps by her own free will even though Joker definitely got inside her head. Speaking of Joker, Jared Leto’s take on the Joker is a fascinating departure. He infuses the character with a manic sexuality that makes him unpredictable and threatening. His minimal screen time makes it difficult to judge his performance on the whole. It will be interesting to see where these two characters go in the future. 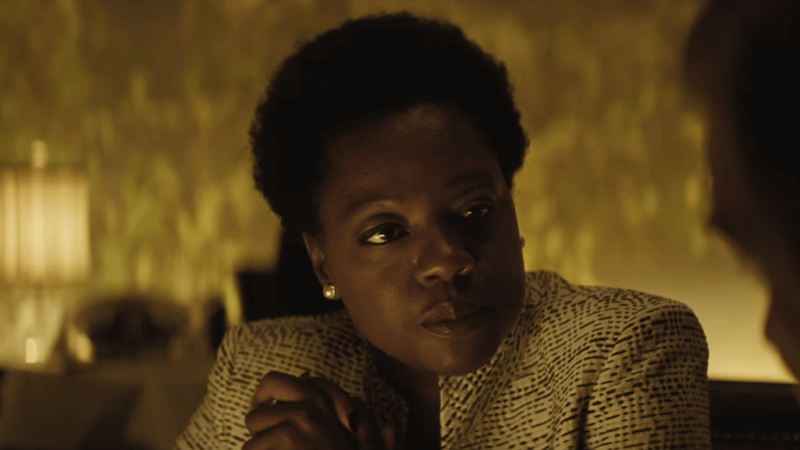 Amidst the stop and go pacing and uninteresting villains, it’s Amanda Waller who stands alone as the best element of the film. She’s the biggest villain of the entire film and the most reprehensible. Completely devoid of all morals, Waller cares about herself and the bottom line above all else. Viola Davis’s icy, no-nonsense demeanor is legitimately terrifying. Despite the sheer amount of exposition she gives, it is amazing how much she can convey with a single facial expression. As a film, Suicide Squad is a colossal mess but it’s vehemently watchable thanks to the actors. Thanks to the editing, big emotional moments don’t hit their intended targets in the third act. The first act, while enjoyable, suffers from being too scattershot with its focal points. The second act is practically a non-existent footnote. Whether it’s due to the reshoots or the original vision of David Ayer, it’s a tough film to judge. With that said, the actors do a great job and it does justice to several DC characters. Here’s hoping that Wonder Woman finally brings everything together for a franchise that is on thin ice for many moviegoers.